The Internet Information Server is an extensible group of servers created by the Internet which includes Web Server or Hypertext Transfer Protocol (HTTP) server with File Transfer Protocol (FTP) Server including additional capabilities of Windows 2000 and NT server operating systems. 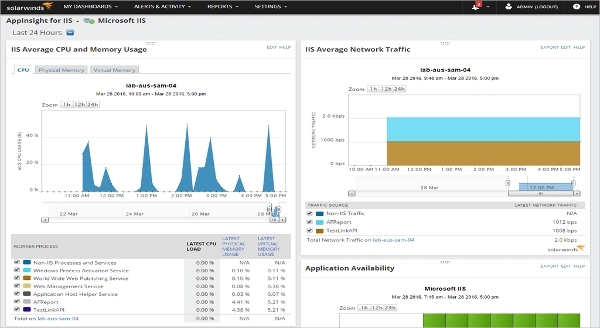 IIS monitoring tools enable a user to check the performance of the application and IIS. 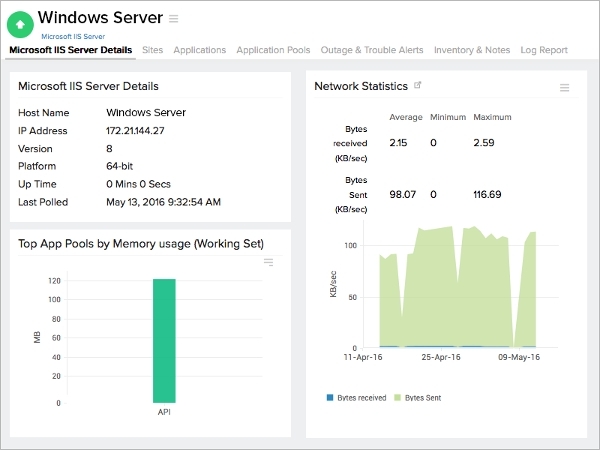 Solarwinds IIS Server Performance Monitoring enables a user to monitor web server and other system resources and helps in balancing server workloads and websites. In fact, the user can see the detailed CPU utilization reports with Threshold Alerts that signifies memory bottlenecking and can prevent excessive virtual or physical memory consumption. Microsoft IIS Webserver Monitoring is the software that enables a user to monitor and manage IIS web server. It also helps to check the degree of availability, status and statistics of websites and other web applications and response time at a regularly scheduled time interval. 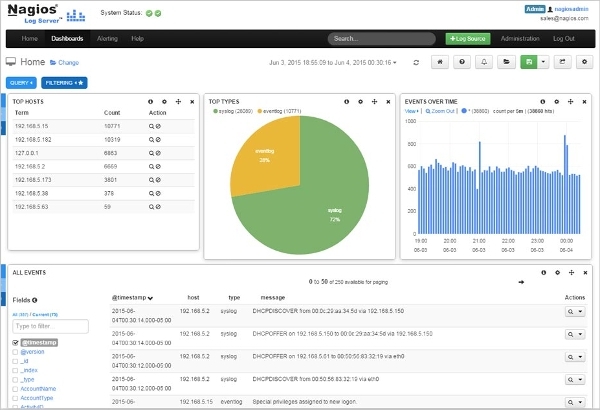 This software Agentless Monitoring is capable of scanning and detecting file transfer speed, user volume, connection statistics and many more things. 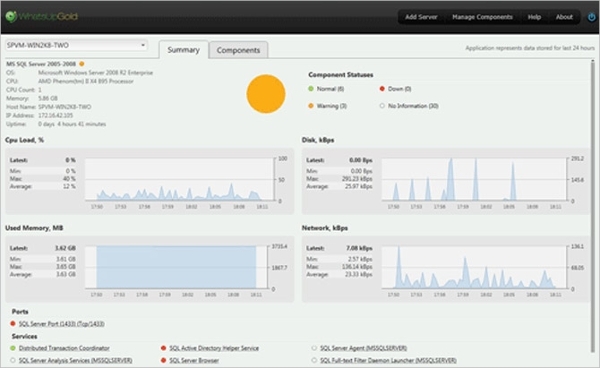 AppDynamics presents a great platform to monitor and manage performance. If applications and websites collect infrastructure and machine metrics like input, output ratio of disks, utilization of CPU and memory usage. The effective HTTP Indexing Service helps the user to find out bottlenecks in code level and examine them. Site24x7 IIS monitoring tool allows a user to get proper insights on the mechanism and performance of sites and application pools. 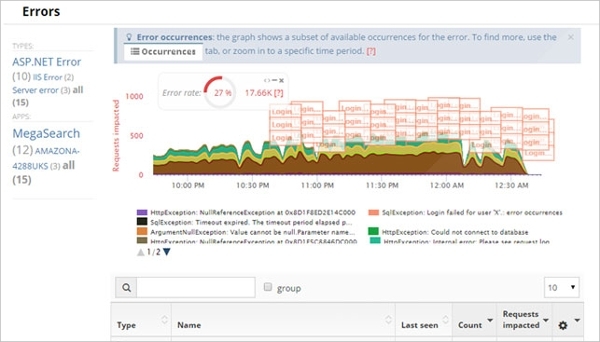 The online platform detects memory leakage, triggers start/stop action on an application pool or website, generate metrics to avoid server issues and monitors failed request, session details, cache and other parameters to avoid overload of application. LeanSentry is a very lightweight IIS monitoring platform that efficiently debugs the applications and monitors the server performance. The users can diagnose threading issues, causes of website hangs and slow requests effectively and find out the solutions right away. This software is capable of optimizing memory usage by detecting leaks and tune application’s memory use. Ipswitch Whatsup IIS Monitor is an open source IIS monitoring tool that enables a user to find and fix the Real Time Microsoft IIS and enhance its performance. The easy to handle platform is free and does not demand too much space in the disk. It consumes very less memory and the user can use it after easy installation that takes only a few minutes. This IIS monitoring software is capable to Import data from external monitoring tools and the monitoring modules are designed to fit all types of industry requirement. The platform enables great HTTP Indexing Service along with the availability of threshold alerts simultaneously when the test is started. The free edition has all the required modules needed to monitor effectively. What is IIS Monitoring Tools? The Internet Information Services tools are the set of application or software that enables a user to monitor and analyze the performance of the web servers. The tuning of the performance via monitoring the server(s) is a delicate part of web administration that can only be performed best with the help of the IIS monitoring tools. The servers after tuning perform at an optimum level as per the contemporary system and volume of traffic. The varieties of tools that are included in the package are IIS access Logs, Event logs of Windows server and Performance monitors which altogether optimize the servers and find out the bottlenecks. For a hassle free and issue less server maintenance and optimized performance IIS monitoring tools are very important and handy. The users can find out the bottlenecks of the processes and can be eradicated them once the sources are detected. The effortless monitoring and properly configured platforms makes the process of server handling very convenient.